A new way of delivering high quality schools is proving that investment in children’s wellbeing in Wales is paying off. The £8.5m Ysgol Parc y Tywyn project provides 350 school children from the Burry Port area with an outstanding new learning environment. The project is the second of two new-build Passivhaus schools to be completed within the academic year for Carmarthenshire County Council, with the first, Ysgol Trimsaran becoming occupied in September 2017. 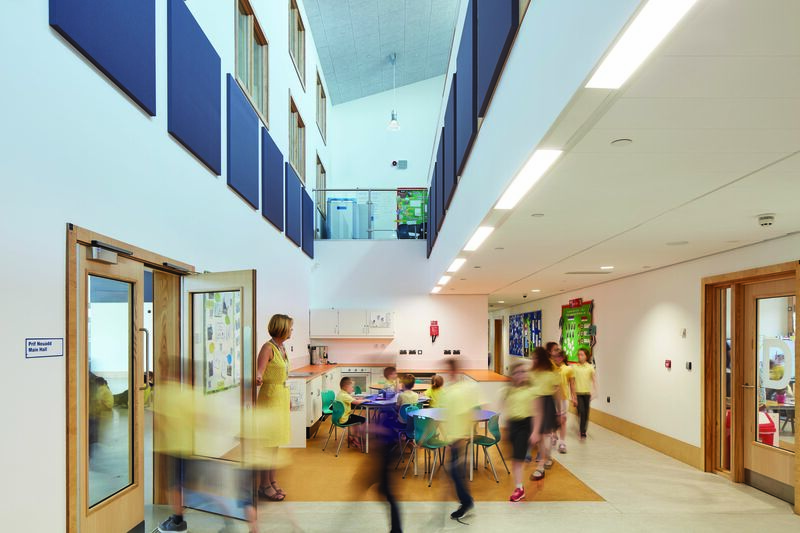 The schools are the first built products of the innovative Patrwm 21 model;a Passivhaus pattern-book approach for delivering schools under the Welsh 21stCentury Schools investment programme. 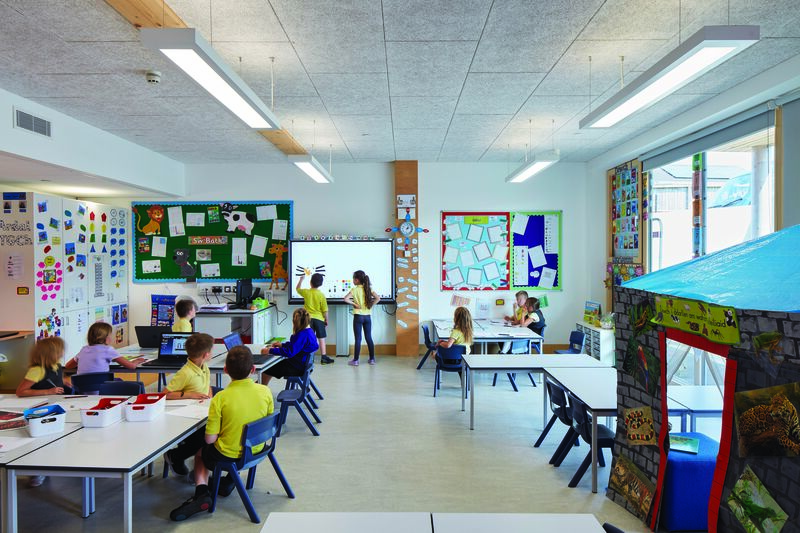 Patrwm 21, (welsh language for Pattern 21), was developed by design and construction specialists Dawnus Construction, Architype and WSP, who collaborated to answer Welsh Government’s desire to achieve better educational outcomes from the 21stCentury Schools programme. 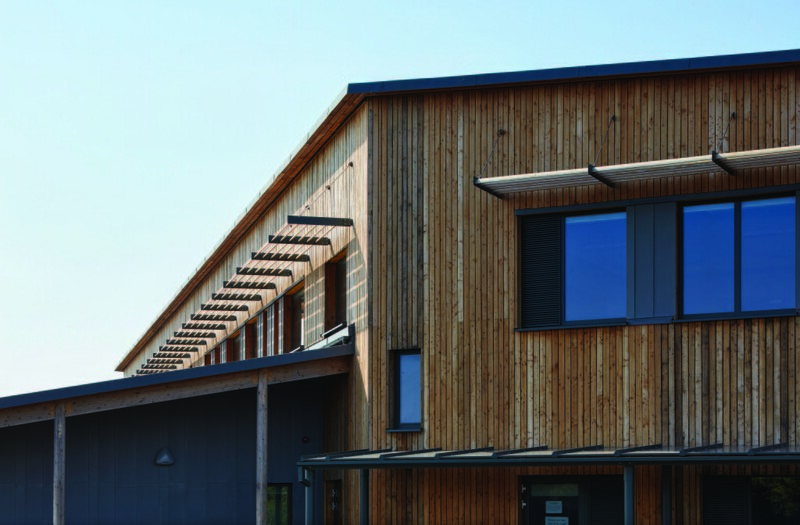 The model aims to maximise capital investment, while delivering consistently high quality and sustainable environments for pupils and teaching staff through the Passivhaus standard, as well as complementing the other agendas of Welsh Government, including the Well-being of Future Generations Act 2015. 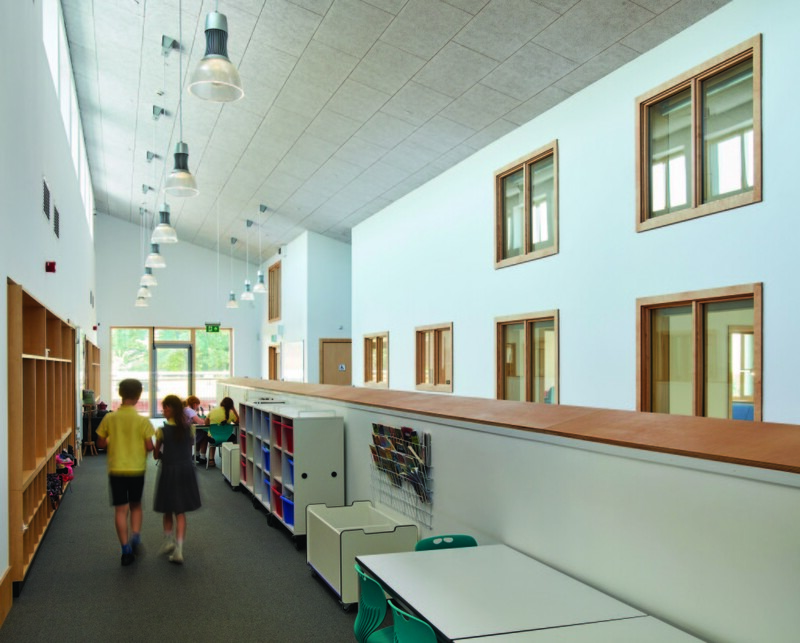 The model has been developed to offer a BIM ready, Passivhaus compliant, school solution that can be tailored to the individual needs of a brief; providing consistency in cost, quality and sustainability outcomes. The method offers local authorities in Wales, and potentially across the UK, outstanding whole life value through radically reduced construction, operational and maintenance costs; up to 80% less than standard building regulations. The rigorous fabric first approach of the Patrwm 21 model will support Wales’s ambitions to promote healthy building environments for users, providing stable temperatures and excellent air quality. The first school delivered by the Patrwm 21 team for Carmarthenshire CC, Ysgol Trimsaran, has been in use since September 2017, where energy bills have demonstrated a 75% cost saving over the 8 month occupation period, compared to standard new build BREEAM Excellent rated schools. Sharon Owen, Headteacher at Ysgol Trimsaran commented:“It is spacious, light and airy and has improved pupil’s pride and self-esteem. The temperature is constant thus improving concentration levels.” She also remarked that attendance had significantly improved since occupying the new school, with some parents reporting that children had become less reliant or stopped using inhalers. The first two Patrwm 21 Passivhaus schools have been delivered for an uplift in capital cost of just 6%, with payback expected to be achieved within the first 2 years of occupation. 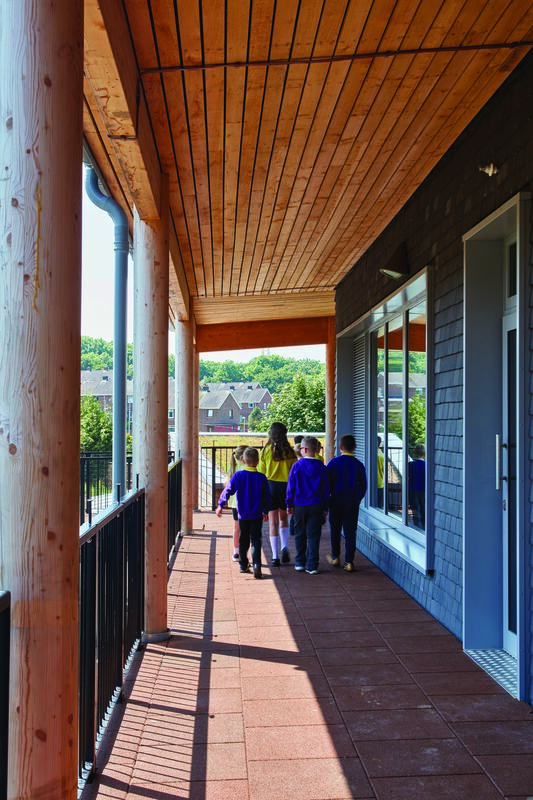 However with the P21 team being appointed for a further 3 schools in Powys, applying efficiencies and lessons learned to the legacy of Passivhaus schools means that the next two are on track to neutralise in capital costs, with the fifth school in the series being delivered for less than the national Welsh average for standard schools. The Patwrm 21 team have worked hard to ensure that standardisation was not limiting to the brief, creating uplifting learning spaces and rooting the schools in their rural Welsh context with locally sourced materials that reference the local vernacular, and landscapes that encourage inside and outside play and learning. Schools have been finished in a pallet of Welsh brick to reflect the areas heritage in brick production, alongside Welsh Larch in both schools in support of the local supply chain and reducing the carbon footprint of the school. 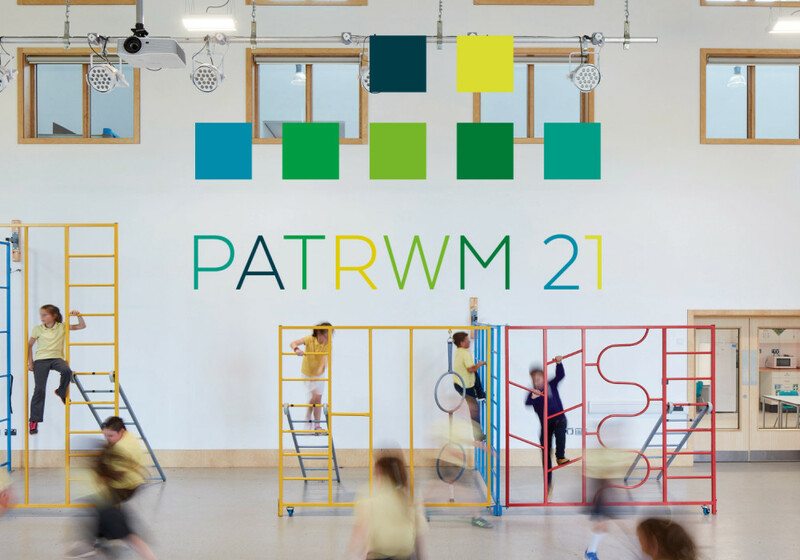 Committed to continuous improvement, the Patrwm 21 team has begun a post occupancy evaluation and monitoring of the completed schools to inform future projects and disseminate key learnings to the construction industry and policy makers in Wales. 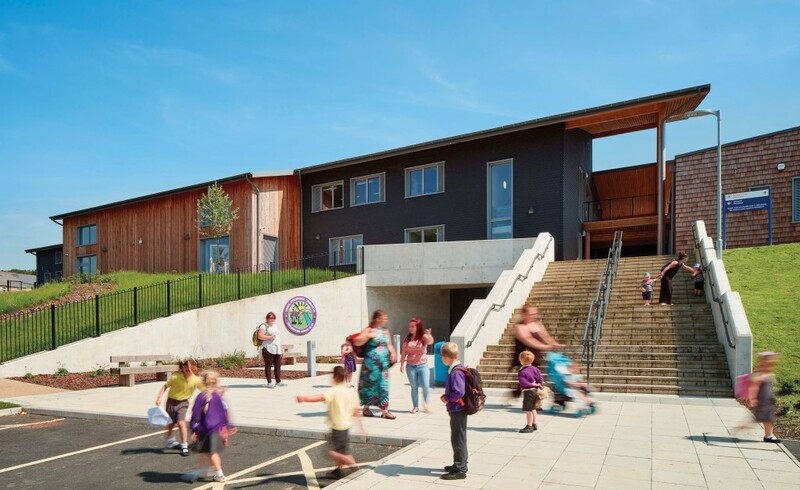 With local authority clients continuing to recognise the cost, health and environmental benefits of the Patrwm 21 model, the consortium are currently working with Powys County Council in the design stage of three further Patrwm 21 schools including Ysgol Bro Hyddgen; a £23m all-through school. For more information, visit the recently launched Patrwm 21 website.